You are the Fake Meats master chef! Do you cook meats? No! You cook Fake Meats, and you are proud of your skills. 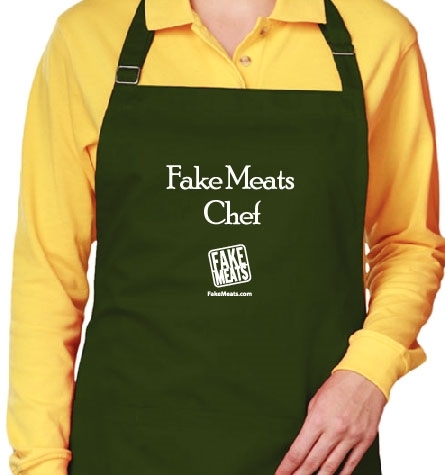 You are the master vegan / vegetarian chef, and you deserve a spiffy apron. High quality, durable apron with front pockets. 65/35 polyester/cotton blend twill. One size fits most.